Affordable Creative E-Commerce Web Design Services Company focused on helping customers with their online presence. A professional media business based on the Gold Coast, Maicom provides design, software and development solutions. With all the services needed for an online or digital requirements, we aim to be a one-stop shop for all your needs-Website Design, SEO, Hosting and nearly all things related. At Maicom Design and Software Solutions, with our talented team of experienced developers and designers, we can deliver applications and products driven by your business needs. With many years of experience in IT covering design, consultancy and software development, we have the knowledge and skills required for a professional result. We strives to ensure that we provide clear and concise information and advice to help each client, and to ensure that the best solution for you is reached, be it via our services or others. With clear information, it allows our clients to understand where we are coming from and if need be, confirm with others that what we are saying is true. We don’t believe in talking fluff, but saying as it is. At the end of the day, we want our clients to be comfortable in knowing that we are working towards their goal and that there is no misunderstanding by either party.Our end goal is to provide solutions tailored to our clients to support their organisational goals, increase efficiency and help to improve their bottom line. As an individual, web enthusiest or a small to large business, speak to us and we’re pretty sure to have a solution for your needs. For more information, don’t hesitate to contact us for a free no obligation chat, even if you’re not sure what your really need. We’ll even provide the coffees. 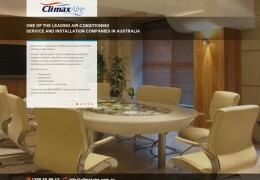 ClimaxAire is a leading air conditioning company in Australia and Papua New Guinea. Auto Leaders All Car Servicing is an Automotive Servicing Group specialising in high quality workmanship with personalised customer service at a fair price. Our studio office is located on the Gold Coast in Sunny Queensland, Australia.